National Institute Of Technology Silchar (NIT Silchar) , an Institute of National Importance under the NIT Act was established in 1967 as a Regional Engineering College (REC), Silchar. 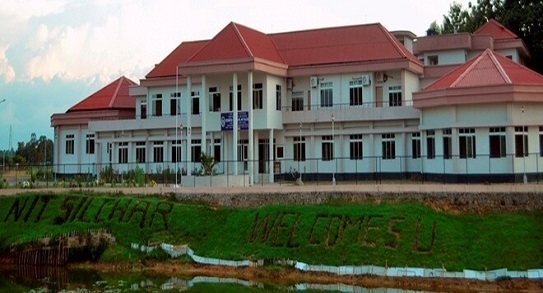 NIT Silchar is situated on the banks of river Barak. In year 2002, it was upgraded to the status of an NIT from a Regional Engineering College(REC). Campus: National Institute Of Technology Silchar (NIT Silchar) , an Institute of National Importance under the NIT Act was established in 1967 as a Regional Engineering College (REC), Silchar. NIT Silchar is situated on the banks of river Barak. In year 2002, it was upgraded to the status of an NIT from a Regional Engineering College(REC). Regional Engineering College, Silchar was established in 1967 as a joint venture of Government of India and Government of Assam under the administration of a society registered under society registration Act XXI of 1860. The college was transformed into National Institute of Technology in the year 2002, and bestowed with the status of Deemed University by the Ministry of Human Resource and Development. The multifarious reforms -that are being introduced from then by the reformed Board of Governors, delegated with a greater degree of autonomy for exercising its deliberation over diverse issues pertaining to cardinal matters ranging from academic to extracurricular excellence, are bringing about a tangible difference in the rudimentary paradigm of achieving a high standard in engineering education. 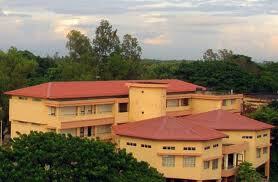 Hostel: NIT Silchar being a residential institute, it has got seven Boys’ hostels and two Girls’ hostels. Boy’s Hostel 1 is spread over 3600 metres of land, and has 66 single seated, 11 double seated and 27 triple seated rooms. Boy’s Hostel 2 is spread over 2620 metres of land, and has 68 single seated and 24 triple seated rooms. Boy’s Hostel 3 is spread over 2620 metres of land, and has 68 single seated and 24 triple seated rooms. Boy’s Hostel 4 is spread over 5030 metres of land, and has 148 single seated and 48 triple seated rooms. Boy’s Hostel 5 is spread over 2894 metres of land, and has 74 single seated and 24 triple seated rooms. Boy’s Hostel 6 is spread over 2620 metres of land, and has 150 single seated and 75 double seated rooms. Girl’s Hostel 1 is spread over 1206 metres of land, and has 27 double seated and 40 triple seated rooms. Boy’s Hostel 7 and Girls Hostel 2 have been recently constructed. Boys Hostel 7 is 300-bedded and along with Boy’s Hostel 5 reserved for first year students. National Institute of Technology, Silchar presents Incandescence 2010, the annual techno-cultural fest with all new fervor and enthusiasm. Riding on the success of previous editions and christened Incandescence Re Incarnated – where serenity meets rejuvenation. This time it promises to be all the more thrilling and exciting with a serious unleashing of knowledge and fun. Be a part of the showdown and usher into an arena of newer and greater horizons.